While most trekkers visit the mighty Himalayas during summer to get away from the heat that scorches the rest of the country, you’ll find some of the most spectacular snow treks in India during winter. There are ice-covered lakes to discover, frozen rivers to trek upon, snowy paths to negotiate, and landscapes blanketed in white to explore. 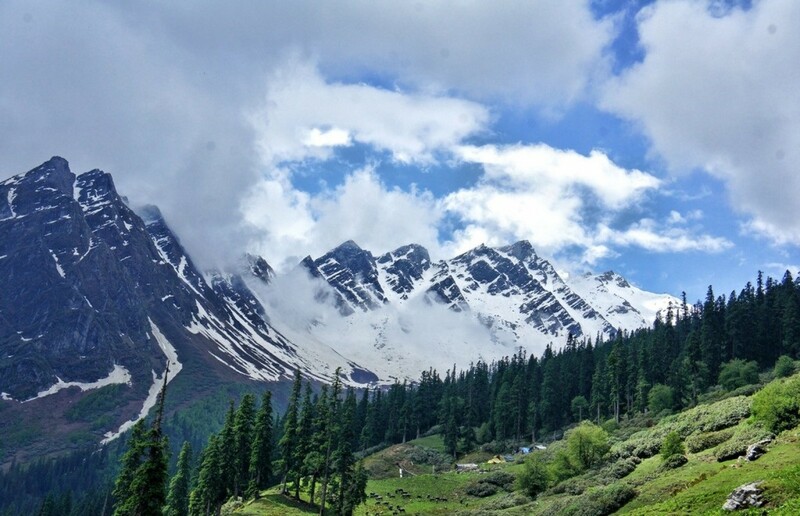 Some of the top snow treks in India are found in Himachal Pradesh, Jammu and Kashmir, and Uttarakhand. 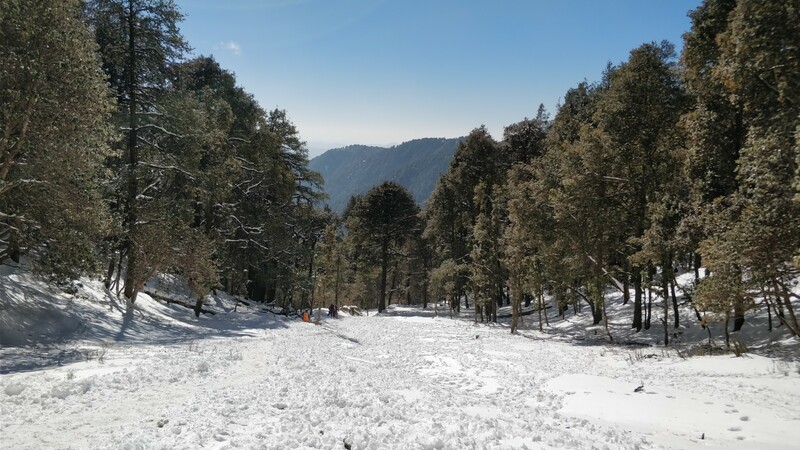 The Nagtibba trek is one of the top snow treks in India because it takes you to a height of 10,000 feet, from where you can see stunning views of snowy landscape. You’ll trek through forests of oak with orchids dotting the trail, while goats and woolly sheep graze on the slopes around you. 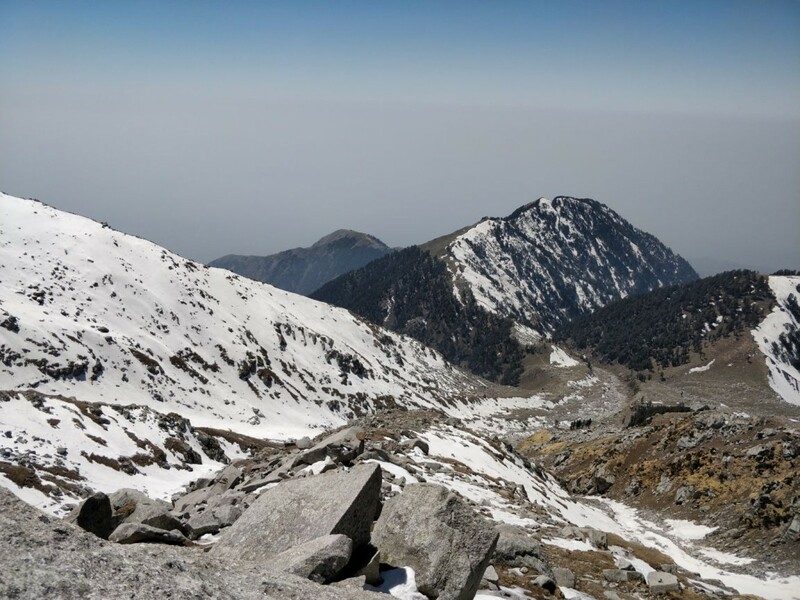 This top snow trek in India is one of the most easy treks to complete in the winter. 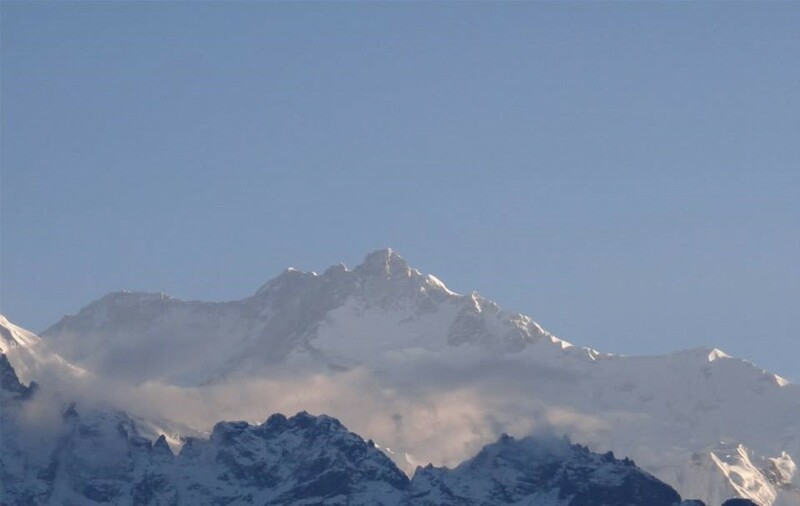 Kedarkantha is a beautiful ridge peak in Uttarakhand, and is one of the top snow treks in India. Between December and March, the landscape turns from beautiful to spectacular. 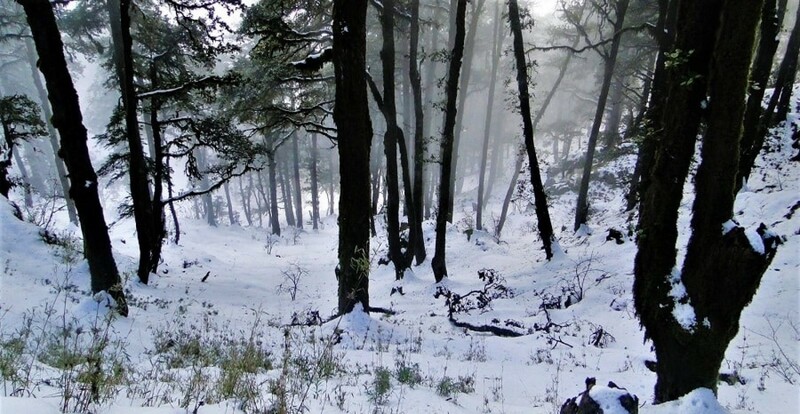 A snow trek to Kedarkantha will take you along a trail that is completely covered with thick, pure white snow. You’ll walk through forests of pine and oak, with the trees weighed down with snow. One of the campsites is beside Juda ka Talab, which is a small pond that completely freezes over and is absolutely gorgeous. At 12,500 feet, the Kedarkantha summit offers stunning 360-degree views of some of the highest Himalayan peaks like Bandarpoonch, Swargarohini, and Black Pearl. 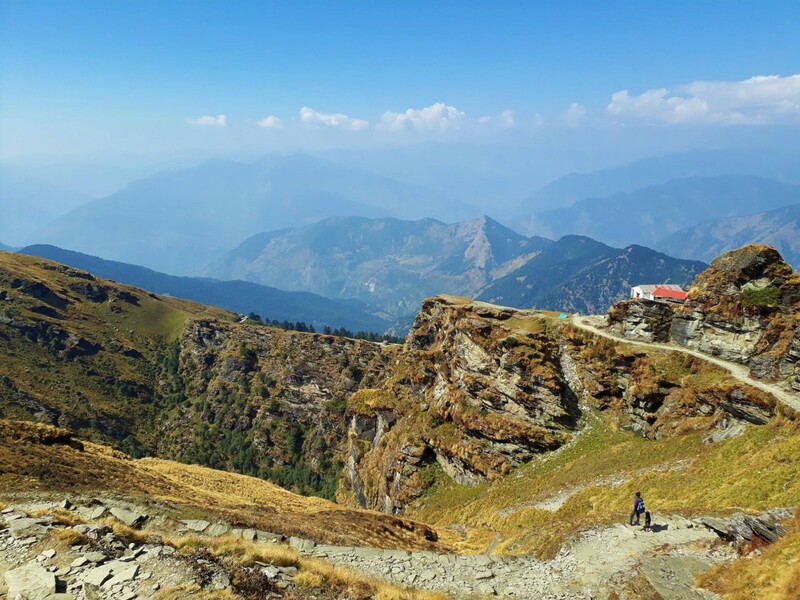 The Chopta trek is a quaint hill station in the Kedarnath wildlife sanctuary and it is popularly known as the 'Mini Switzerland’ of India. It’s famous around the year, but during the winter, it becomes one of the top snow treks in India. The open meadows and slopes stretch into the horizon, covered in a blanket of snow. The trek is mostly easy but the climb to Chandrashila is a fun challenge. 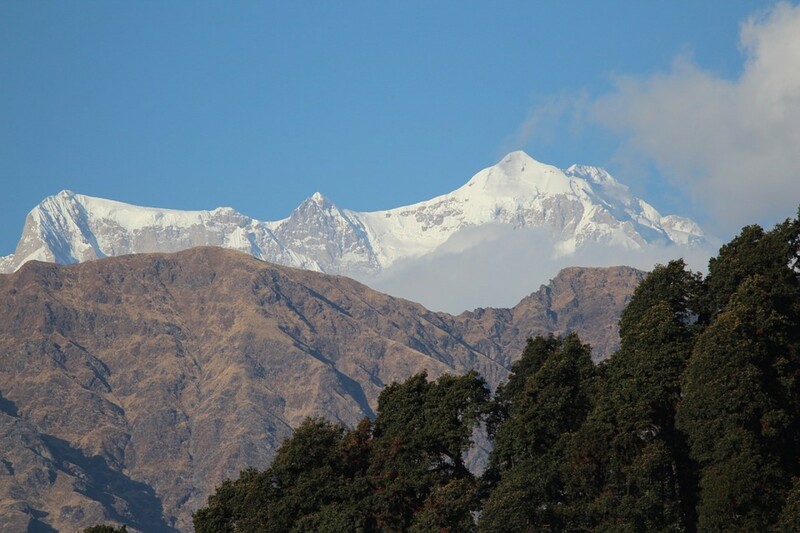 This peak is at 13,123 feet and is home to Tungnath, the highest Shiva temple in the world. From the top, you’ll get even more beautiful views. 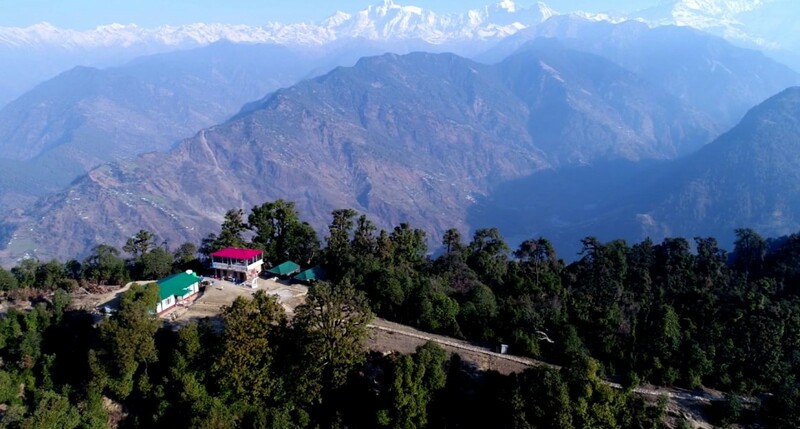 The Dayara Bugya is considered to be one of the most beautiful treks in Uttarakhand. It is a high altitude meadow that lies at 11,100 feet. The meadows cover an area of 28 square kms, which means you’ll have spectacular views and open space in all directions. In the summer, these meadows are lush with sweet grass and dotted with wildflowers. During the winters, when the snow has covered the ground, these meadows are perfect for snowy trails. On this trek, you’ll see famous peaks like Kala Nag, Bandar Poonch, the Gangotri Massif I and II, among others. The Kuari Pass trek is one of the few trekking destinations that is open in the winter, which makes it a top snow trek in India. This trek is moderately easy, except for the summit to Pangarchulla peak, which stands tall at 15,419 feet and puts your climbing muscles to the test. 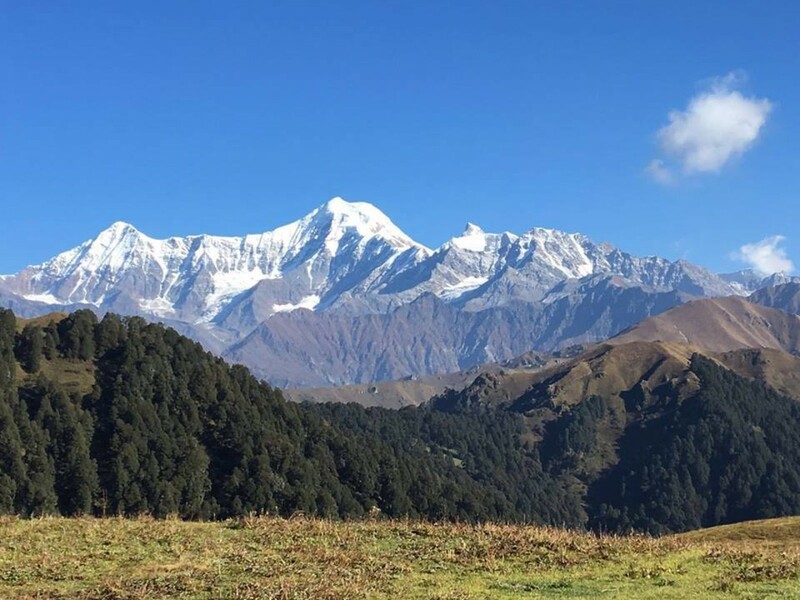 One of the top treks in Uttarakhand, this trek takes you through endless meadows, alpine forests, and past towering Himalayan peaks with enchanting panoramic views of Nanda Devi, the Chaukhamba Range, Mana peak, and Kamet peak. 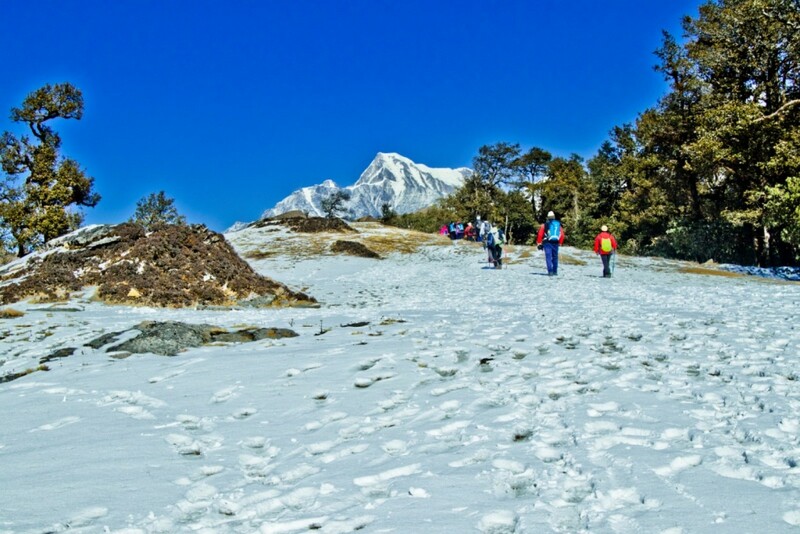 The Brahmatal trek is an easy to moderate trek that is suitable for fit beginners, but you can expect some low temperatures in winter, so do come prepared. This is one of the few trails in the country at an elevation of 12,500 feet that offers stupendous views of peaks over 7000 metres at such close proximity. Har ki dun trek, which translates to the Valley of Gods, is one of the top snow treks in India. The Har ki Dun valley lies at the base of the Fateh Parvat at 11,646 feet in the Govind Wildlife Sanctuary and National Park which is a stunning region in itself. Your trek is a mix of peaceful walks and adventurous ascents with some steep climbs. The trail takes you through apple orchards, snowy valleys, with pretty streams everywhere. 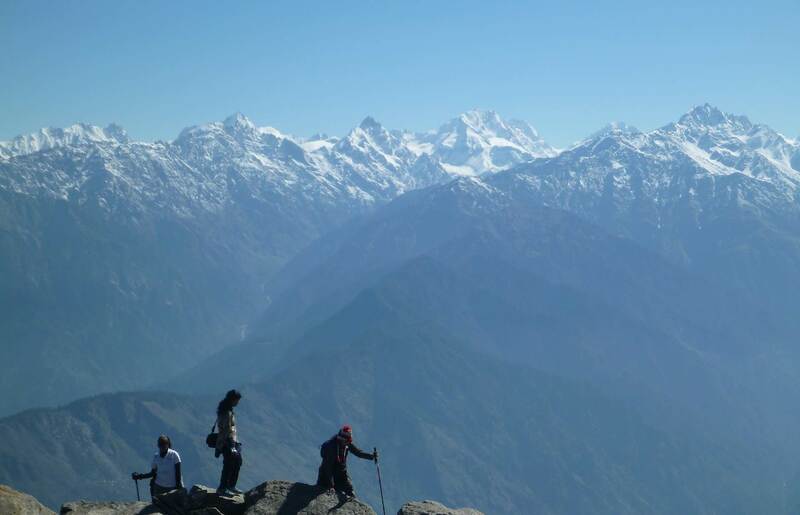 This trek offers spectacular views of the other famous peaks in the region such as Banderpoonch, Swargarohini etc. 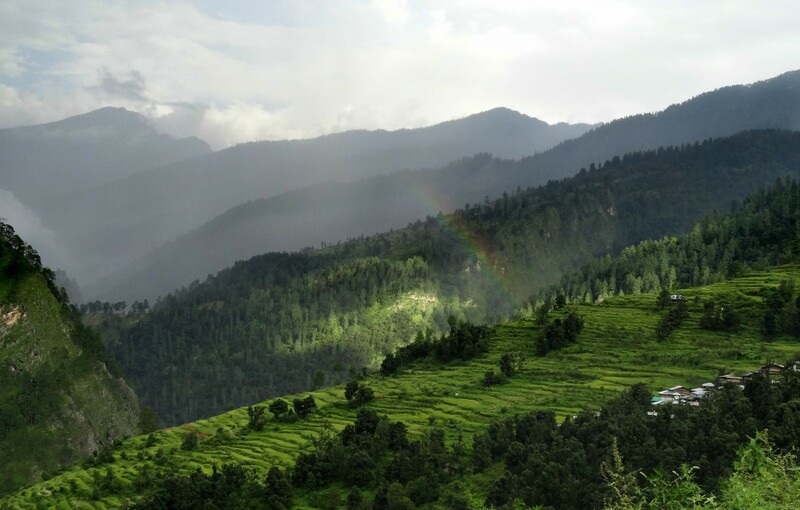 The Devban trek, or Deoban, is a lesser known trek in a secluded corner of Uttarakhand. It is perfect for those looking for an offbeat trek with untouched nature and quiet trails. The trek starts from Chakrata, about 3 hours from Dehradun. It is a pretty trek through pine trees, with birds chirping in the branches. The trek is relatively easy, and can be done by beginners looking for a trekking experience of a day or two. 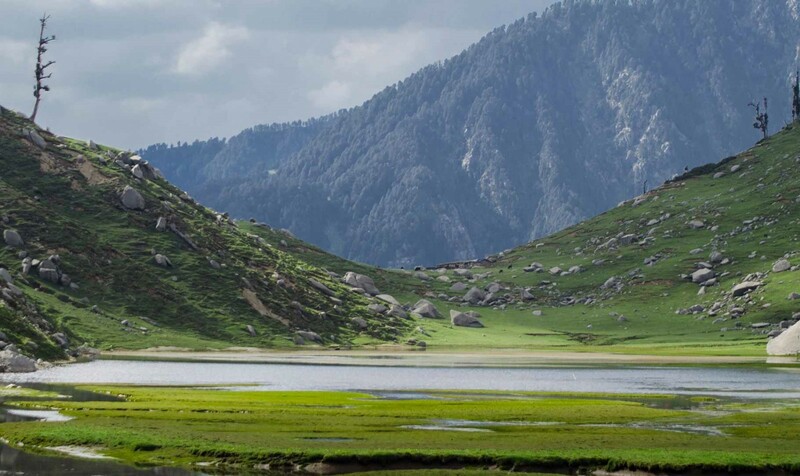 Kareri Lake, near McLeodganj, is a clear, serene glacial lake that is a gorgeous place to get away from it all. You’ll hike through cool forests of pine and oak to get to the lake, and will also see the charming villages of Riyoti and Kareri. 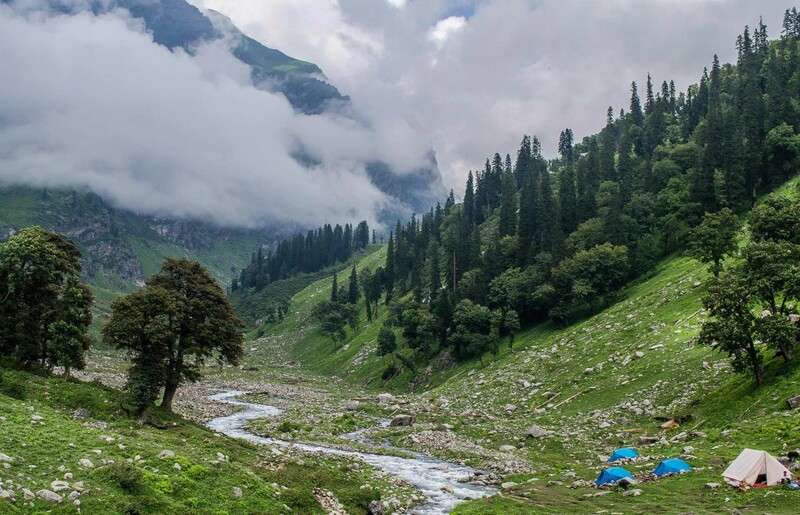 Beaskund easy trek in Himachal Pradesh is perfect for beginners, and starts from Manali. You trek past glaciers, up lushly forested slopes, passing the tree line, seeing mountain streams dot the landscape, and up into meadows where shepherds bring their flock to graze on the sweet grass. The emerald-green Beaskund is the highlight of this trekking route in Himachal, and it is great for taking postcard-perfect photographs. 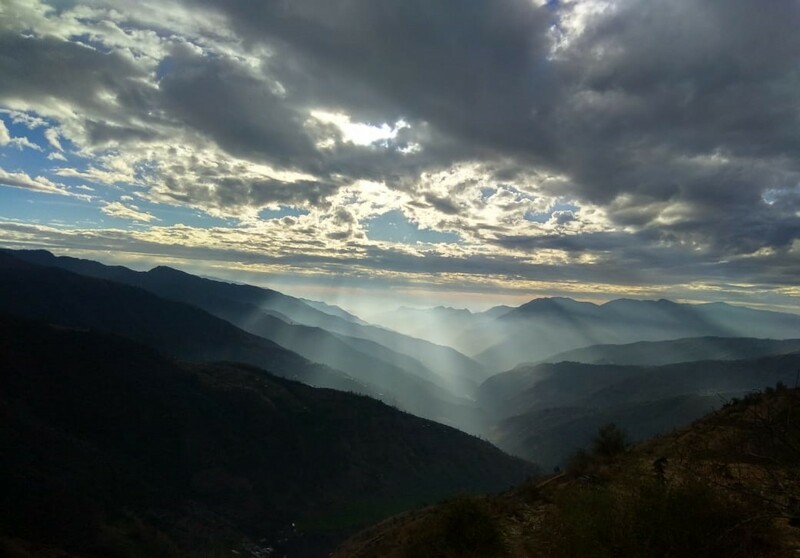 All this is accompanied by views of surrounding peaks such as Shitidhar and Friendship Peak in the Kullu region. It is one of the top snow treks in India for the tranquil route and exquisite views. 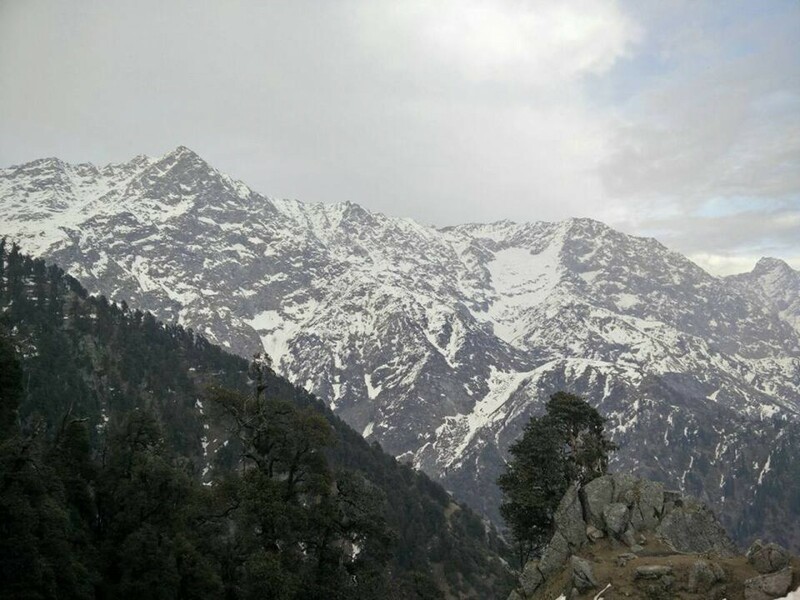 Starting from the charming McLeodganj, and winding upwards into the Dhauladhar range, the trek to Indrahar Pass takes you up to 14,125 feet. 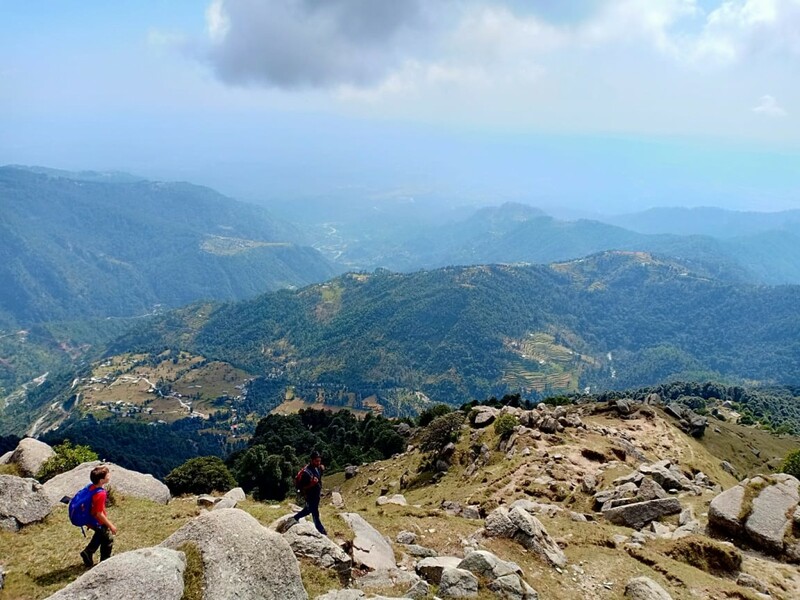 En route, you’ll stop at Triund, where your campsite is perched on a ridge with spectacular views. The trek to Indrahar Pass is moderately challenging, with some steep sections that can be difficult. The trek can be done in summer, but is also popular in winter, when the snowy views are truly awe-inspiring. Take on the challenge of a moderately difficult, snow trek in Himachal Pradesh with this 6-day trek to Sar Pass. You'll spend the week surrounded by dense woods of pine and oak with beautiful views of snow-capped mountain peaks in the Parvati Valley. 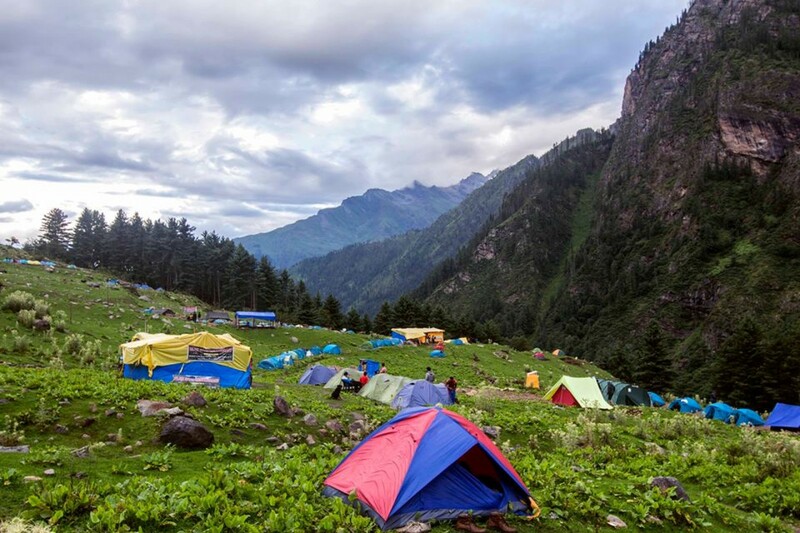 As you begin climbing from the town of Kasol, you'll encounter challenging and steep inclines on the trail, leading you up to an elevation of over 13,500 feet. 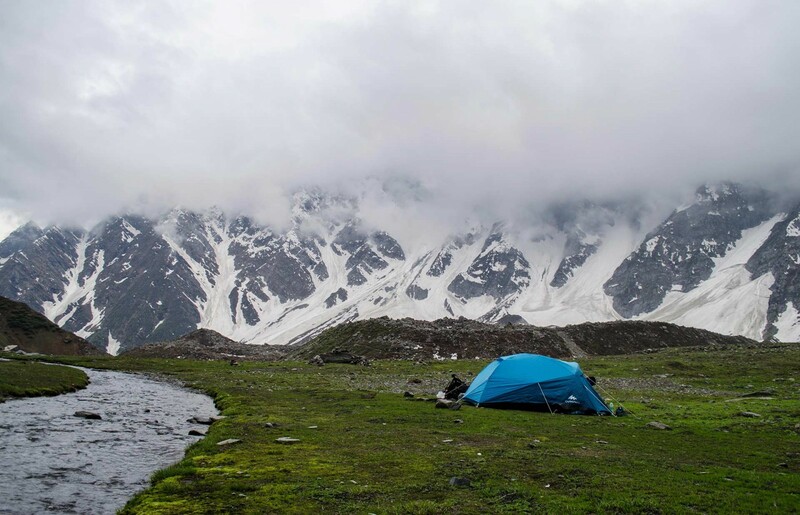 En route, you'll stay in alpine tents pitched at some of the most scenic mountain ridges and meadows in the Himalayas. As you gain altitude and get closer to Sar Pass, you'll find yourself trekking in inches of thick snow, covering almost everything around you. 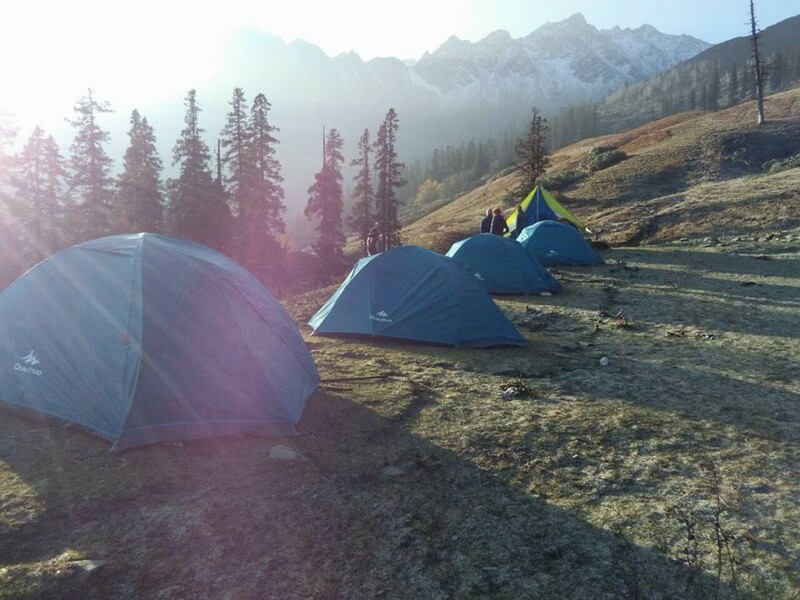 The Hampta Pass trek is one of the most famous crossover treks in Himachal Pradesh. 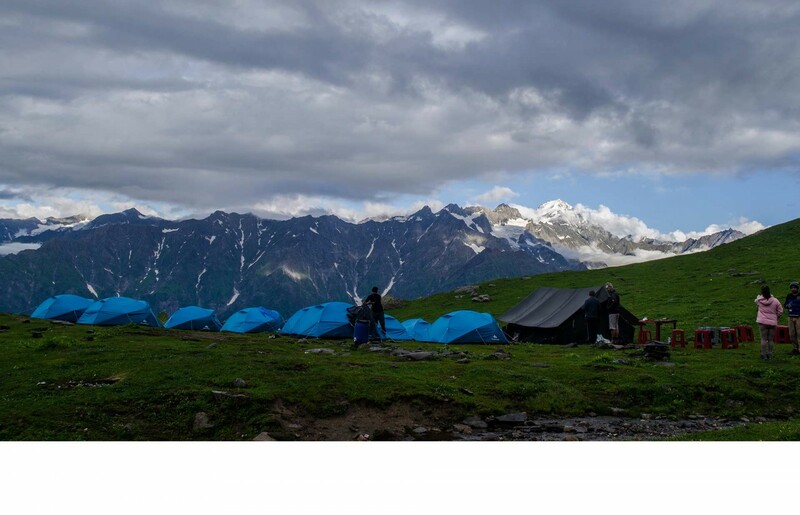 On this trek, you’ll cross from the green Kullu Valley into the desolate Spiti Valley. The change of landscape is very dramatic, and you’ll enjoy some gorgeous views. The Hampta Pass trek itinerary often includes a visit to Chandratal Lake, a deep blue lake that sparkles in the midst of the arid land. This is a moderately challenging trek, but it can be done by fit beginners, and will go to an altitude of 14,100 feet. The Goechala Dzongri trek takes you up into the magical landscape of Sikkim, through meadows filled with rare wildflowers and past crystal lakes and streams. This is a challenging trek that stretches over 10 days, with many long days of trekking. 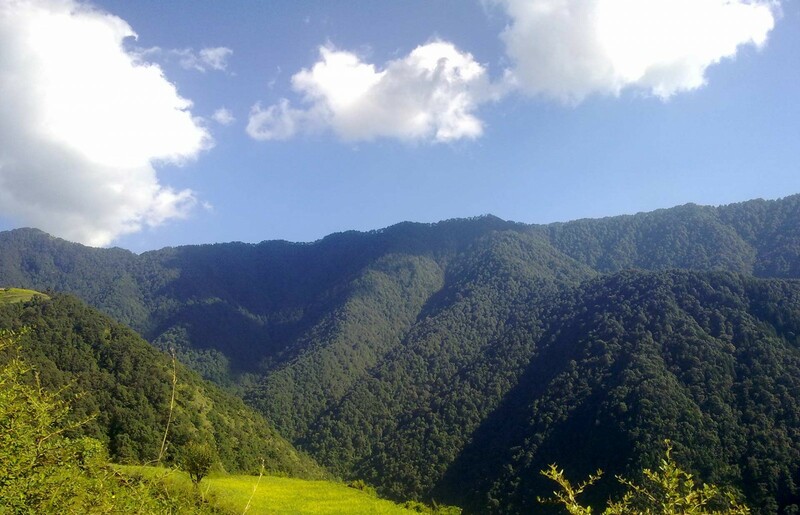 Some sections of the trek can be very steep, and the weather can get very cold, so this trek is not recommended for beginners or those who have completed only a couple of treks. 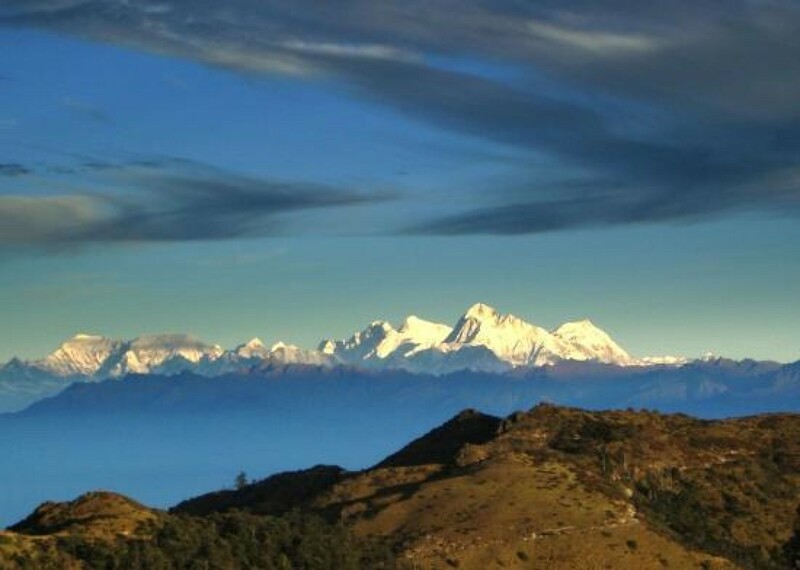 The Sandakphu trek has the unique benefits of offering you majestic views of the 4 tallest mountains of the world: Mt. 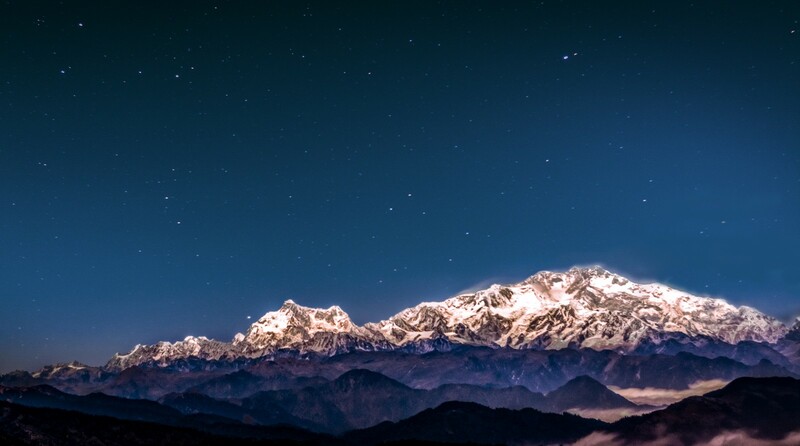 Everest, Makalu, Kanchenjunga, and Lhotse. It’s a thrilling experience, and you’ll also get views of the Three Sisters range. You’ll also walk along a formation of peaks that the locals call ‘The Sleeping Buddha’. 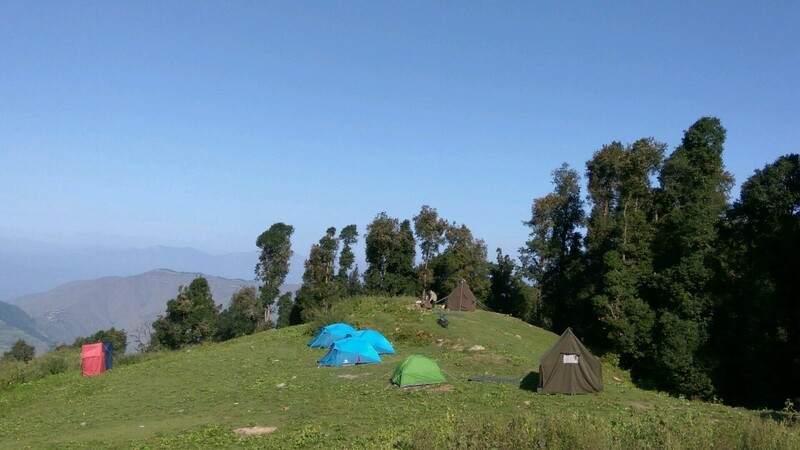 The Sandakphu trek is a moderately challenging one, and involves some long days of trekking. However, fit first-timers can attempt this if they have good stamina and endurance. 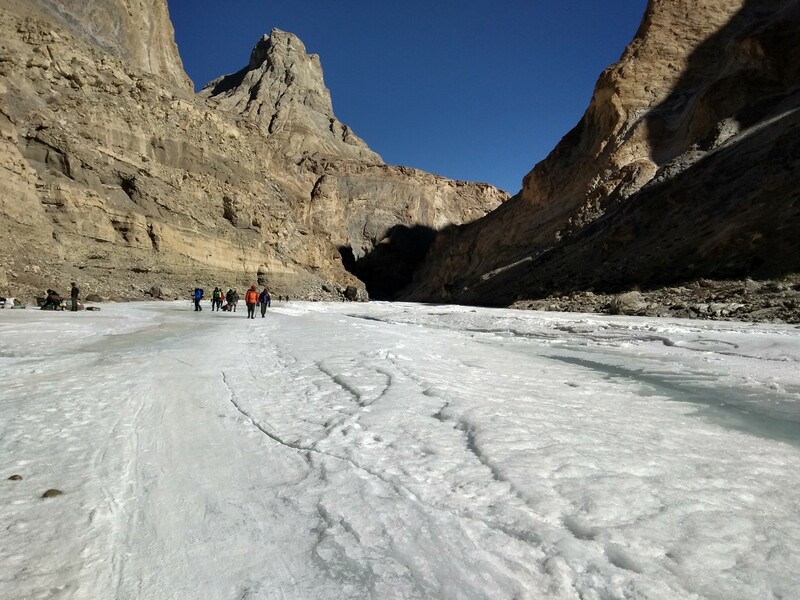 At number 1 on the list for top snow treks in India, the Chadar trek is a unique experience that is possible for a very short time in the year. The Zanskar river is one of the most famous rivers in India, and in summer, has ferocious rapids for those looking for whitewater rafting. But in winter, the river freezes over, and when the roads are covered in snow, the river is the only access route for locals. 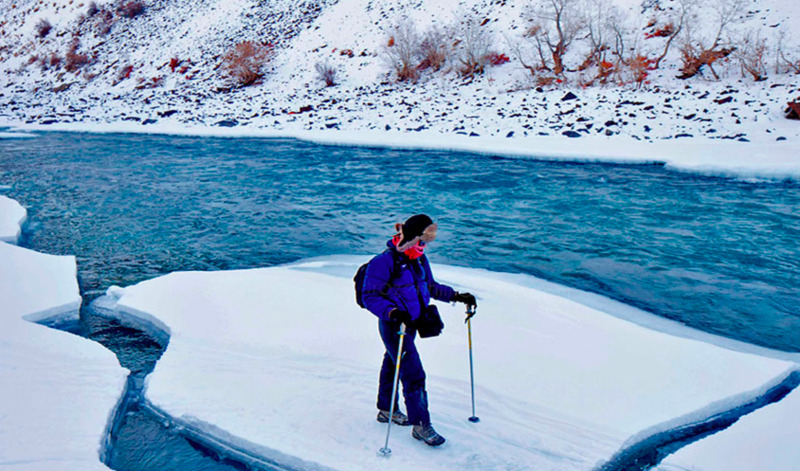 You’ll trek along this river, between the soaring walls of the river valley, carefully negotiating your way over the ice and looking at the bubbles that are frozen underneath. You’ll see waterfalls that have frozen in mid-fall, and drink hot tea in ancient caves with walls darkened by thousands of campfires. This top snow trek in India is not for beginners, but is an A-lister for those looking for an unusual winter experience.